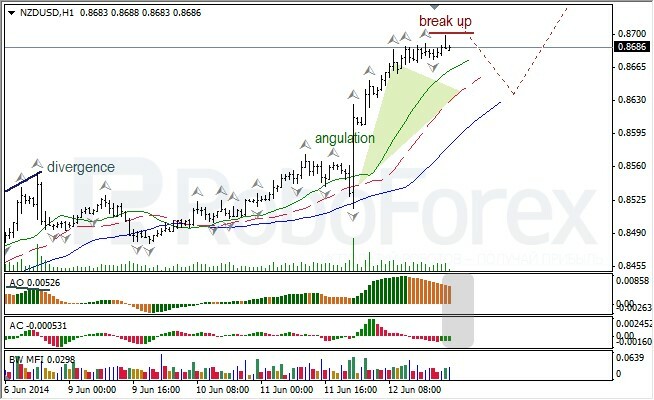 At H4 chart of USDCAD, Alligator is moving downwards; indicators are in gray zone; Squat bar is possible on MFI. Angulation is expected to be closed soon. Bullish fractal can reach Alligator’s teeth (red line), then fractals can be broken out to the downside. 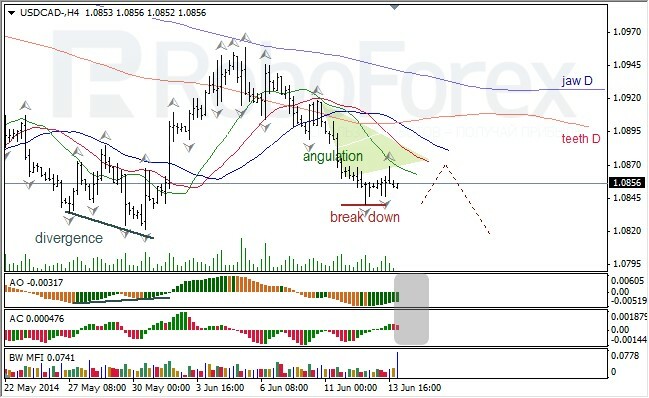 At H1 chart of USDCAD, Alligator is sleeping; Indicators are in red zone. MFI is going down and Squat bar can appear. Expecting to see fractals on both sides of Alligator’s lips. 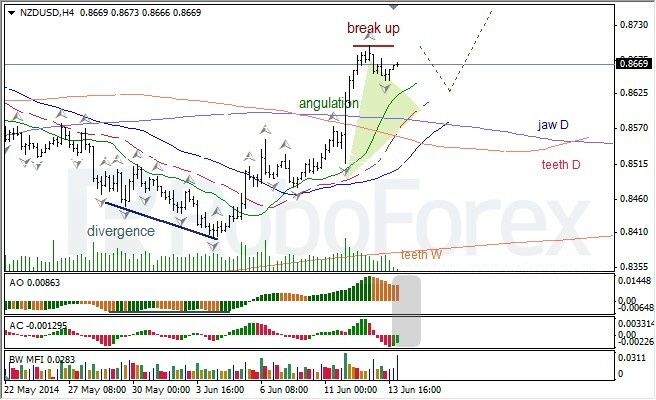 At H4 chart of NZDUSD, Alligator is heading to the upside, bullish fractal is building, AO and AC are in gray zone, squat bars on MFI. 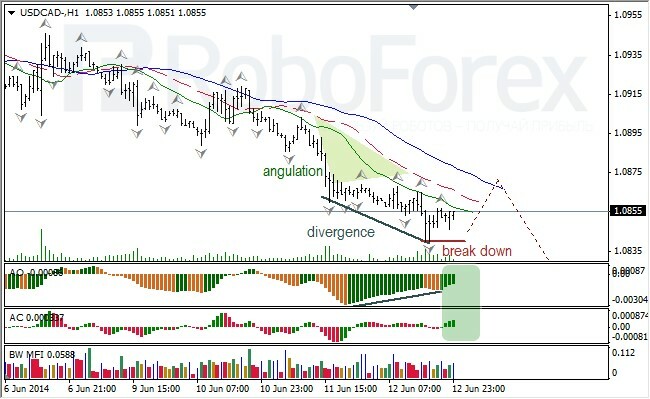 Bearish Fractal can reach Alligator’s teeth line (red line), then upside breakout of fractals is expected. At H1 chart of NZDUSD Alligator is closing mouth, however AO and AC are in green zone, MFI shows growth, squat bar can appear. Expecting to see fractals on both sides of Alligator’s lips.